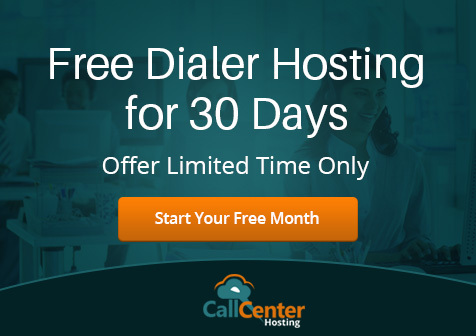 In the last post of blog series, we discussed what predictive dialer is and how it offers a plethora of benefits to call center businesses. 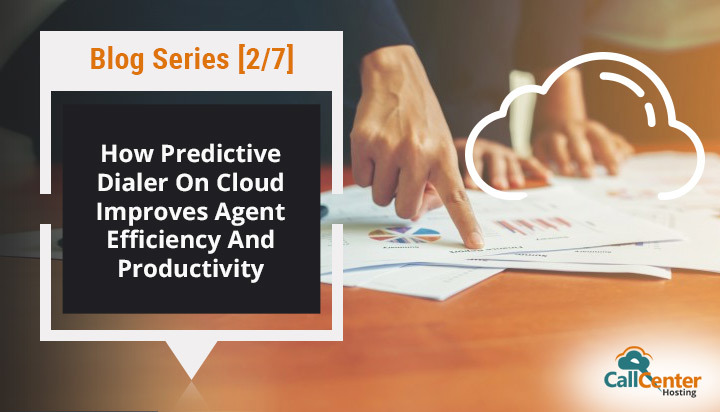 In this second post of the series, we’ll discuss how hosted predictive dialer helps agents better connect with customers, be organized and quick in response that lead to efficient and productive work. In a call center environment, there are many occasions when the customer and agent conversation lead to business success or rather more struggle from the agent side. But of all these occasions the most important part is the very first conversation that happens between the customer and the agent. So, a tool that can make the very first conversation happen between the customer and the agent stands as the most important tool towards business success and a steady customer base. Ever since the automatic dialers came into existence, the customer outreach became more efficient. But with the introduction of predictive dialers, reaching out to the customers became more result-oriented with the help of predictive analytics involved. The idea behind the introduction of any tool to the call center should help the agent and make him more efficient in terms of dealing with more customers in lesser time involved. Let’s see how hosted predictive dialer software is helping the agents today. Predictive dialers are fed with the customer data that comprise the demographic details of the customers. After making the calls, once the call is connected, the dialer immediately redirects the call to the available agents. It reduces the agent idle time to a large extent because of its intelligent dialing. Predictive dialers just make the most out of the customer data that was never utilized this intelligently, earlier. Also, in call centers, it is essential to direct as many agents to the customers as possible. Predictive dialer assures for the same. The predictive dialers integrate the CRM as well and for the same reason the information about the customers is always handy to the agents. So, if a customer is connected for the second time with an agent then because of the available information the agent can deal with the customer more productively. CRM integration also helps the agents to manage the details about the calls by providing all the details about the previous calls to the customers on calls. If an agent is able to do more in less time then the call center scenario shifts towards much higher productivity. Since the predictive dialer works on an algorithm that analyses the customer data and works upon it. So, customers living in various other continents receive calls at different times. In this way, the dialer takes care about every individual customer. A perfect timing of the outbound call makes it more likely for the customers to take the calls. With the help of predictive dialers, the number of customer connection gets multiplied many time more and it also enhances the possibility of turning a lead into a loyal customer. More connection with the customers lead to more number of sales opportunities. Dialer redirects the customers to the most able agents who will take the calls and make the sales pitch. So, the perfect timing of the predictive dialer makes it easier for the agents to accelerate the sales process. The outbound calls become more intelligent with statistical support of the data. And a perfect sales activity from the efficient agent side can bring more loyal customers to your business. The overall productivity of a call center depends on the number of customer conversation ending up on a positive note. The idea is simple, every opportunity of communication with the customer may find a meaning if an individual customer satisfaction level is up. When a call connects to an agent, the agent who is speaking to the customer may always take expert opinions to provide the best possible answer. With the involvement of experts, the credentials of the customer support process gets more consolidated. In the call center environment, the relevance of the predictive dialers is unavoidable because they bring in the right customers to the business. Predictive dialers also expedite the process of customer support by calling the customers with better frequency. With a better frequency of calling, the customer connection rate improves in a substantial way. An individual agent makes a difference so making him equipped with the perfect tools like predictive dialers lead to unprecedented results. In the coming post of this blog series, we will be talking about how predictive dialer on cloud help make you use customer data effectively. A predictive dialer is an excellent tool for improving the productivity of the call center agents. Like you rightly mentioned in your blog it reduces the idle time of an agent making their time more productive. Thank you so much for taking out your time and reading my blog. Totally agreeing with your viewpoint that involving an expert opinion always gives rise to a satisfied customer. Such advantages from dialers always help to maintain a good relationship between a company and a customer. Nice article Vipul. All the points mentioned by you in this blog suggests that such technologies should be incorporated in a call center in order to keep pace with the changing consumer behavior.